The theme of this campaign is preventing professional and household accidents and injuries. Everyone should be thinking of safety both on site and at home. 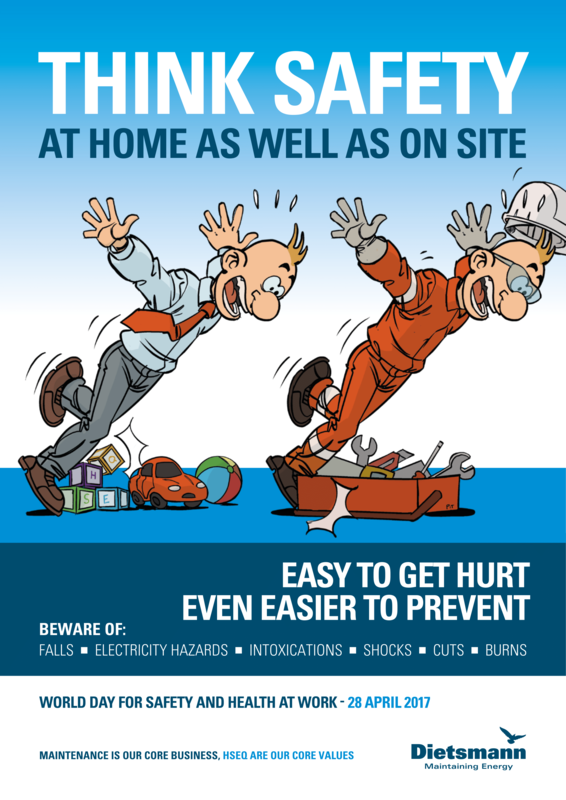 Getting hurt is easy, but preventing yourself or others getting hurt is even easier when you are aware of the hazards that could cause falls, electrocution, cuts, burns and intoxication. Every year, more than 11 million people are affected by and 20,000 people die as a result of everyday accidents. Many of these accidents could have been avoided by being aware of the hazards and doing something about them. Think safety at home as well as on site!